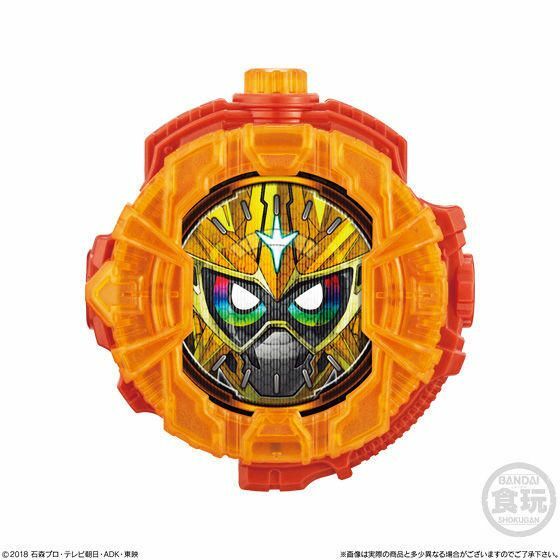 Ex-Aid Muteki Gamer Ridewatch, from the "Sound Ridewatch Series - SG Ridewatch 05" candy toy series! "SG" (i.e. 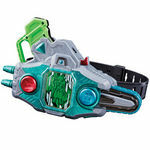 "Shokugan", meaning candy toy) Ridewatches feature electronic sound effects and can be used with compatible DX-series Kamen Rider Zi-O toys (such as the DX Ziku Driver, sold separately). From Kamen Rider Zi-O! 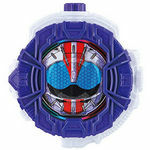 Please note that candy toy versions do not have lights or rotating bezel features like the DX versions. Also the top button is non-functioning; the buttons to activate sound effects are on the side. 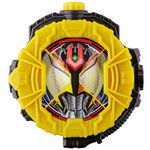 This item is a Japanese candy toy (a.k.a. "shokugan"). Candy toy-style packaging (comes in a nice box for retail display, non-blind boxed).